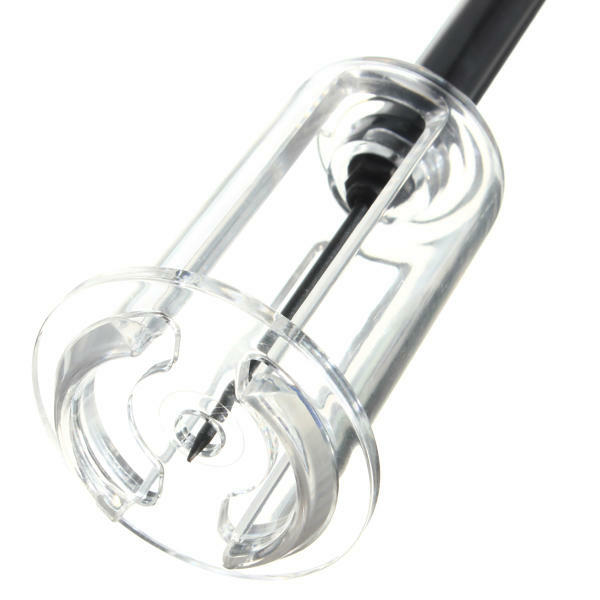 AIR PUMP uses air and a strong Teflon needle for fast cork removal. The new air pump wine opener is a simple, easy and fast way to open up a bottle of wine with the hassle of pulling and twisting. Simply slid the needle in, and pump a few times and the cork is out. Cork Pops (CO2 Injector) - There are several versions of this one as well,but basically it is a handle with a long needle which is inserted down through the cork. Don’t use this corkscrew for plastic cork and sparkling wine. If the bottle is defective, the times of pumping must not over 12 pumps per bottle.